See what people are saying about Mountainview Chiropractic Center. Call 303-447-9700 for a complimentary consultation! At Mountainview Chiropractic Center, we have cared for thousands of individuals over the past 30 years. We have patients who come from throughout the Front Range of Colorado, as well as those who come from the Mountains. We treat a wide variety of symptoms and conditions. Please know that we approach each case in a unique and special way. We feel honored and blessed to have had the opportunity to touch so many special people. If you have not been to a chiropractor before or are looking for a new approach, please call 303-447-9700 to receive the answers to your questions from our experienced team. We also welcome referrals, so we invite you to use the "Send to Friend" link to share our chiropractic and wellness information with your friends and loved ones. To stay informed about the latest in chiropractic care and to start receiving free articles about health and wellness news, subscribe to our bi-weekly newsletter, even if you are not a patient. We offer exercise videos and wellness articles in the community content section of our website. Your journey to wellness begins here. Please call today at 303-447-9700 to make an appointment. You've only got one spine. Take great care of it with us. Please call today at 303-447-9700 to make an appointment. Call or make an appointment online. Please call today at 303-447-9700 to make an appointment. Dr. Dale Hameister is personally committed to a healthy lifestyle. He is in to natural foods, regular exercise, and has practiced yoga for 37 years. At just twenty-three years old, Dr. Don Schmidt had tremendous personal motivation to regain his own lost vitality after a severe injury. 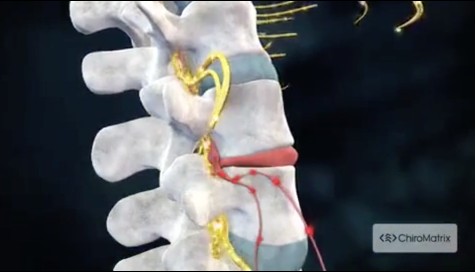 Following years of increasing pain and dysfunction, he suffered a ruptured lower lumbar disc. After being unable to walk for 42 days, he underwent spinal surgery. Sadly, pain began to return within a month of the surgery! Proper spinal alignment through Chiropractic care and corrective exercise were instrumental in achieving a complete recovery. "Dr. Hameister is gifted! As a chiropractor myself, my standards are high. Dr. Hameister is simply the best chiropractor I have ever known!" "Dr. Adam Cosson | When the accident first happened, it impacted my life a lot. I couldn't go to work or do much but lay in bed. After seeing Dr. Cosson, I can move my neck so much better than I have before. I now have found a chiropractor that I can come back to later in life. I know this office will always help relieve my pain." "Dale Hameister not only has very skillful hands (and forearms! ), he has a warmth and caring that shine through in every encounter." "My Wife suggested I see Dr. Don Schmidt for my severe low back pain. She gets a lot of relief from Dr. Don's adjustments. She is his biggest cheerleader. After 2 sessions, I was able to participate in a golf tournament (and I Won!). After several more sessions, I'm pain free! I felt that the doctor and staff are all very friendly, caring and customer focused."